Twice a month I update a list of what, are in my opinion, the best travel credit cards on the market. How I rank them is largely defined by their sign up bonuses. So the next logical question would be, how do I value those sign up bonuses? 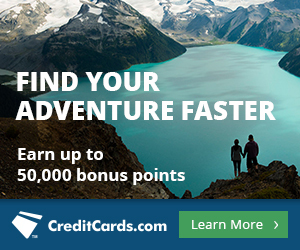 There are two equally valid ways to value a credit card sign up bonus. The method that is appropriate for you depends mainly on how much you spend per year on credit cards. Absolute Value Method: Calculate the total value of the sign up bonus in dollars by multiplying your valuation of the type of mile or point by the amount of the bonus. Rank the sign up bonus offers by their value in dollars. Rebate Percentage Method: Calculate the total value of the sign up bonus in dollars. Divide the value by the spending requirement to unlock the sign up bonus. Rank the sign up bonus by the result of the division–the rebate percentage of the sign up bonus. The absolute value method is the better method for big spenders. The rebate percentage method is better for small spenders. Let’s take a deeper look at the methods with some examples. The rebate percentage method is the better method for valuing credit card sign ups if the amount you spend on cards limits how many cards you can sign up for. If, instead, you limit the number of cards you sign up for to preserve your credit score in the short term or your applications are only limited by how many new cards banks will approve, the absolute value method is right for you. Why? If you’re like me and spend less than $50,000 per year on cards, that level of spending does not allow us to get all the great rewards cards. For instance, last week there were three cards that had minimum spending requirements that added up to $50k to clear them completely. If I put all my spending towards clearing those three, I would miss out on every other card with a minimum spend for the whole year. Since my spending ability limits my cards, I need to get the cards with the highest rebate percentage. This includes cards without a minimum spend requirement and cards with a big sign up bonus for a small spend requirement. If you’re a huge spender, or you’re limiting the cards you apply for in anticipation of getting a mortgage, you need to focus on signing up for the cards with the highest absolute value of bonuses. We all–big spenders and small spenders–should focus on getting the highest total absolute value of all our cards combined. But small spenders need to use the rebate percentage to figure out which cards will achieve the highest total absolute value of all cards combined. So use the appropriate method to rank the cards from biggest to smallest sign up bonuses. People using the absolute value methodology would go down their list and sign up for the cards on top first. They would stop applying when they were limited by a need to keep a high credit score in the short term or by the limits of how many cards a bank will approve. Small spenders need to populate their list with the rebate percentages (of each tranche of a multilevel sign up bonus) and the minimum spend. Small spenders also apply top to bottom. But they are cut off where their spending ability cuts them off. Today’s post talked about the two ways to value a credit card sign up bonus: by its absolute value or by its rebate percentage. Nobody can apply for every rewards card, so we all need to value sign up bonuses somehow to choose the best ones to get. The goal of every applicant should be to maximize the total value of card sign up bonuses he gets. 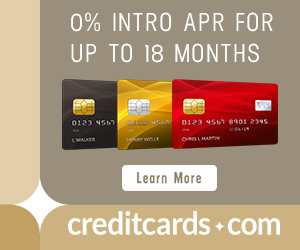 Big spenders or conservative appliers do that by applying for the cards with highest absolute value card bonus. Small spenders get there by focusing on the biggest rebate percentages. The value of a sign up bonus is just one aspect of how to judge what card to sign up. Read the Best Order for Card Applications to Maximize Bonuses Over Your Lifetime to learn more. Limited Time: 50k and 60k Delta Offers. Which is Better?